If you are involved in some full-contact sport, muay thai headgear is a must option. Protecting your head from punches and kicks is very important. Muay Thai headgear offer needed protection, but still not provide 100% protection from brute force. Many fighting sports is using them for sparing sessions or amateur fights. Trainers don’t want their fighters to be injured before a match or sustain a knockout. Muay Thai headgear quality depends on many things. Several factors are to be taken into account. The filling is one of the first to be taken into account. Many materials exist and offer different protection. Outer material is the second one either is synthetic or leather. Next comes the weight, how much does it weighs is connected with the filling materials. The opening and ability to see the hits and your opponent. So choosing the best muay thai gear will offer you with some benefits in the future. Let’s go over a few main factors that are to be taken into account when you go and buy a muay thai headgear. We mentioned good fit and ability to see must be one option, mass or how much it weighs. Quality build and other. Below is a detailed description of these factors. Remember you are protecting your head, for you to feel comfortable when wearing the muay thai headgear on your head. It would help if you did not feel like having a pumping or medieval knight helmet. When you go and choose one try it first. See how it fits the shape of your head. Try to shake it off you do some movements. If it is too tight or too loses, it is not for you. This is tricky sometimes. However, you are going to fight not to play ballet with it. One good advice would be to choose one with softer inside material. If the lining is too rough, it will irritate your head. The punches will initiate even more redness, and you don’t want that. Try to find one with right chin strap. This comes in handy when you took strong punches and didn’t evade or block. So if it falls off it will be a problem in the heat of the fight. Your opponent might continue and injure you. See to fit your chin and the strap to offer tightness. All of us have different head sizes, and this is one of those things that matter. Muay thai headgear’s main objective is to protect you. So why own one when it does not help. That is why you must concentrate when trying one on the area it covers. It would not be advisable to buy one that leaves your head open to punches. Don’t think this makes you weak. It honestly don’t you just use it as mauy thai headgear. Good head coverage is what you must search from it. It’s simple the more you are protected less you will be injured and vice versa. You might ask why size, well the more it weighs, the smaller your chances of moving are. When you have nothing on your head, you can move freely. However, when you have your mobility will be sacrificed. You see even when you have muay thai headgear on it doesn’t mean you’ll be isolated and protected best. Moving slower means you are becoming the perfect target and your opponents can strike at you more. Also, when you are faster, you become a harder target. This muay thai headgear is made from 100% skintex leather. It is lightweight, so it offers you good visibility and movement of your head. Some of the most vulnerable head parts are protected like your temples, cheeks and your chin. Although it offers greater protections because it’s heavier your movement will be restricted. If this is what you look for from a muay thai headgear, then this one is for you. This model offers complete protection from all sides. Your face and head are better protected than the previous one. It is made out of leather filled with layers of foam to be safer when sparing or fighting. Like before it is heavier and you are well protected, but it limits the movements and heads turning. Sanabul muay thai headgear provides even greater face protection. It is more covered and good for sparing or competition. Made with performance engineered leather, it offers safety durability and more natural way to maintain. It’s filled with dura shock foam and has chin padding. Doesn’t weigh so much, and even your might be more protected. Your speed suffers, if you think this is fine then but it. Everlast model offers substantial head protection but lacks face protection. It is made of quality materials, and it’s durable. You can move more with her but be on guard for those face hits. You have a head strap to secure it on your head firmly. Greater ability to see and to move is achieved with this gear. It is smaller and lighter, so if these qualities are right for you, so it is the model. Elite sports muay thai headgear is lighter and sits easier on your head. It is one size fits all with an adjustable closure that gives a secure fit on your head. Because of its lightweight, your head movements are, and so it’s your speed. You have cheek protection, and your chin is opened to strikes. However, your view is bigger it offers 180 field degree of vision. 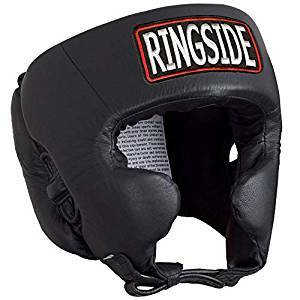 You can see no matter how cheap or expensive these muay thai headgear are,. they all have positive and negative characteristics. So when you need to buy your new muay thai headgear go over some of the tips we offered and try all models of muay thai headgear you can find. In the end, it’s your head that will be punched so protecting it with muay thai headgear is best approach. Last advice will be to match the muay thai headgear with your fighting style. And never hesitate to try and use different muay thai headgear. Always do match ups and use them practically. Extras : muay thai headgear english, muay thai headgear spanish, muay thai headgear chinese, muay thai headgear moroccan , muay thai headgear french and muay thai headgear japanese .